Has your head been turned by a handsome Schnauzer Lab mix pup? Are you wondering if this interesting crossbreed could be the right pet for you? 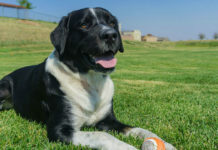 In this article, we’ll cover everything you need to know about the Labrador Schnauzer mix, spanning from their appearance to temperament and even health. You’ll find out where to look for a Schnauzer Lab mix puppy, and weigh up whether this crossbreed is equal to the sum of its parts. There are a huge number of crossbreed dog mixes vying for our attention these days. From the ubiquitous Labradoodle to the many Cockapoos waiting impatiently at the gates of my daughter’s Kindergarten in the morning. Labrador Retrievers are the most commonly registered pedigree dogs in both the USA and UK. Therefore, it’s no surprise they are also a sought-after contributor to many doggy hybrids. The Schnauzer Lab mix doesn’t have the same profile as the Labradoodle. But with Schnauzers and Labradors both enjoying a loyal fanbase, it’s not a surprising combination. Dog breeds come and go, but the noble Schnauzer has been around since medieval times. The earliest Schnauzers earned their keep hunting rats and guarding their owners’ property. In 1904, the Schnauzer was one of the earliest breeds to be recognized by the American Kennel Club (AKC). As a modern pet, the Standard Schnauzer has also been scaled down in size to producing the Miniature Schnauzer (first registered in 1926). And scaled up in size giving rise to the Giant Schnauzer (registered in 1930). These days, Miniature, Standard and Giant Schnauzers are the 17th, 85th, and 76th most registered breeds with the AKC, respectively. Labrador Retrievers are the golden (or chocolate, and or black) boys of the dog world. Labs are hugely popular–so much so they have dominated the top spot on the AKC’s breed list for years. The history of the lab doesn’t go as far back as the Schnauzer’s, but their earliest ancestors go as far back as the turn of the 20th century. Since then, they have been popular working dogs, and of course beloved family pets. Unlike hybrids with carefully documented origins, there was no single eureka moment when the idea of a Schnauzer Lab mix breed was conceived. 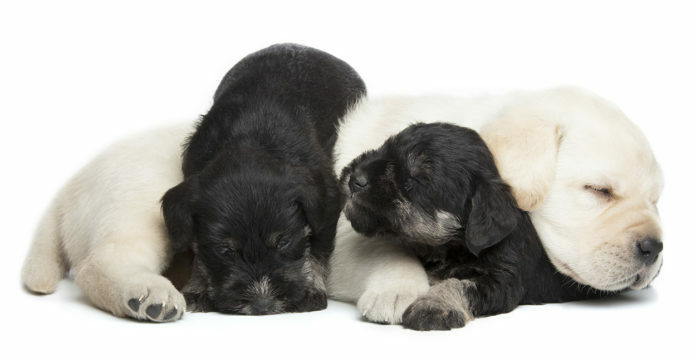 With two such popular and widely-owned pedigrees, it’s likely that litters of Labrador Schnauzer mix puppies have been born by accident or design for decades. Until not long ago, those litters would have been regarded as mongrels, and given away or sold cheaply to family and friends. But now, living in the era of designer dogs, pedigree hybrids can be big business. So how does the Schnauzer and Lab mix fit in? The vast majority of pet dogs are mutts. To give you an idea of the extent, one report estimated the total number of pet dogs in the UK in 2009 as 9.4 million, of which just 216,856 were registered as pedigree pooches. But in the 1990’s, a special term–designer dogs–was coined to describe first generation offspring of two pedigree dogs and has made them.. well… special. 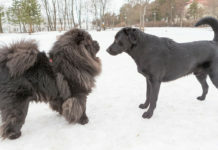 Passionate upholders of pedigree breed standards have not been impressed by this development, and the debate about the pros and cons of crossbreeds rages on. The main problem with the first generation mixed breed dogs is the uncertainty. Puppies could either take completely after one parent or very much after the other. Even within a single litter, some puppies might look all-Lab but act all-Schnauzer, and others are the complete opposite. You simply don’t know what you’re going to get until your puppy is fully grown. For the dogs themselves, the big advantage of being a crossbreed their health. Pedigree dogs come from small gene pools that ensures their desirable traits in all descendants. But, just as desirable genes can be secured, so can undesirable genes which cause health problems. Crossbreeding reduces the rate of hereditary illnesses and improves overall genetic fitness in dogs. Most of the objections to crossbreed dogs are (intentionally or unintentionally) ignoring the problems facing purebred dogs. One more thing to note is that pedigree crosses pose a greater risk to the health of puppies if there is a big difference in size between parent breeds. So for the purposes of this article, we’re assuming our pups are either a Giant Schnauzer Lab mix or a Standard Schnauzer Lab mix. These are closest in scale to the Labrador Retriever. Standard Schnauzers are 17.5 to 19.5 inches tall at their withers (shoulder blades) and can weigh 30 lbs to 50 lbs. Giant Schnauzers are a bit taller, up to 27.5 inches at the withers and weighing 55 lbs to 80 lbs. Labradors fall somewhere between the two. So a Schnauzer Labrador cross is probably going to be a little bigger or smaller than a purebred Labrador, depending on the size of the Schnauzer. Alas, predicting the full grown size of your Schnauzer Labrador mix puppy isn’t as simple as working out the average of the parents. A Schnauzer Labrador mix could outgrow the larger parent or not even reach the size of the smaller parent. Such is the complexity of genetics and environmental factors. What does a Schnauzer Labrador Mix Look Like? Are you hoping yourSchnauzer Labrador cross will inherit the Schnauzer’s wiry coat in black or salt and pepper? Or the Labrador’s sleek coat in black, chocolate, or gold? There’s really no way of knowing in advance exactly which physical characteristics the Schnauzer Lab mix will take from each parent. Is a Labrador Schnauzer Mix Hypoallergenic? 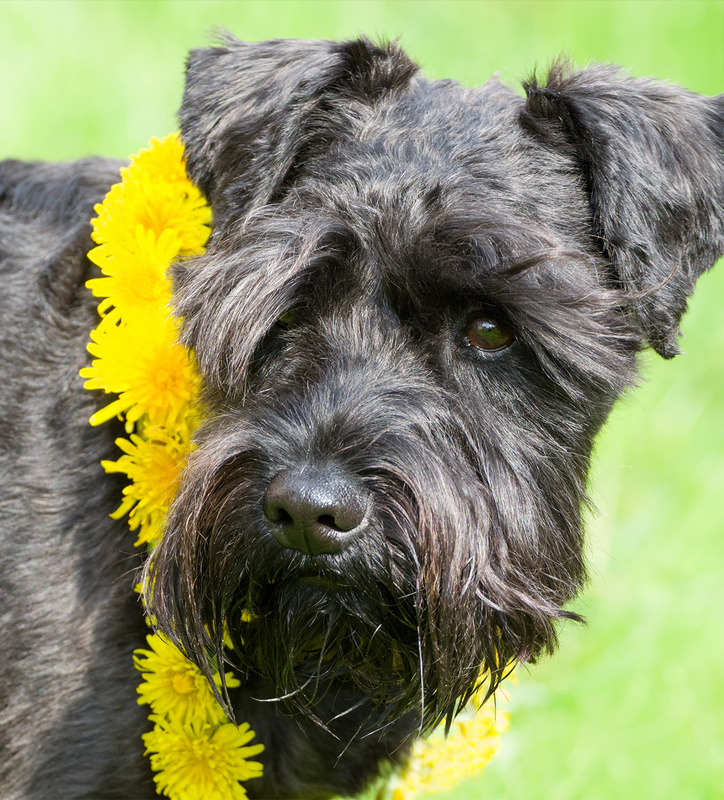 Many sources, including the AKC, describe Schnauzers as non-shedding and hypoallergenic. However, there is no way to predict whether a Labrador Schnauzer will molt copiously and shed their coat twice a year like the Lab, or shed very little like a Schnauzer—only time will tell. One thing we can say with confidence is that 100% hypoallergenic dog breeds don’t really exist. As you’ve no doubt gathered, first generation Schnauzer Labrador mix pups are a complete genetic lottery. They can inherit any mix of traits from their parents, and that applies to personality too. Labradors are extroverted and energetic, ready to be friends with everyone, and love to take part in family life. Schnauzers are equally full of energy and fiercely intelligent. Both Standard and Giant Schnauzers are more likely than Labradors to be wary of strangers–a hark back to their days are guard dogs. Don’t assume any crossbreed that includes a Labrador parent will automatically be friendly. Your Labrador Schnauzer mix might find meeting new people nerve-wracking and may need lots of patience socializing to overcome this. Schnauzers and Labradors are both regarded as highly trainable breeds. They are quick to learn new commands and eager to please by following them through. Standard Schnauzers sometimes have a reputation for being willful. So finding the right incentives and sticking faithfully to positive reinforcement training techniques will be essential to get good results. Once fully grown, a Labrador cross Schnauzer will need upwards of two hours of vigorous exercise every day. If you’ll find this hard to provide due to work or family commitments, factor in the cost of a dog walker or doggy daycare. Alternatively, wait until you have more time to commit. As we touched on earlier, all dog breeds are created and sustained from limited gene pools, which increases the risk of hereditary illnesses passing down generations. 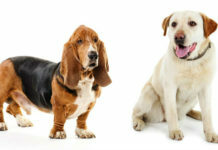 Crossbreeding can protect puppies since some health conditions require both parents to carry the faulty gene causing it. But some conditions can still be passed on, so it pays to know which health problems each of a puppy’s parents might be at risk of. Hip dysplasia is the poor development of the hip joints which causes the top of the thigh bone to sit and move incorrectly in the hip socket. Eventually, hip dysplasia leads to painful arthritis. Hip dysplasia is a common problem for both Labradors and Schnauzers, so all breeding dogs should have their hips assessed by a vet before mating. The vet will score the dog’s hip health, and your breeder should be happy to share these results with you. As well as their hips, the elbows of Labradors are also prone to structural deformities which can result in lameness. If your Schnauzer Lab mix puppy has a Labrador parent with elbow dysplasia, your puppy could inherit it too. 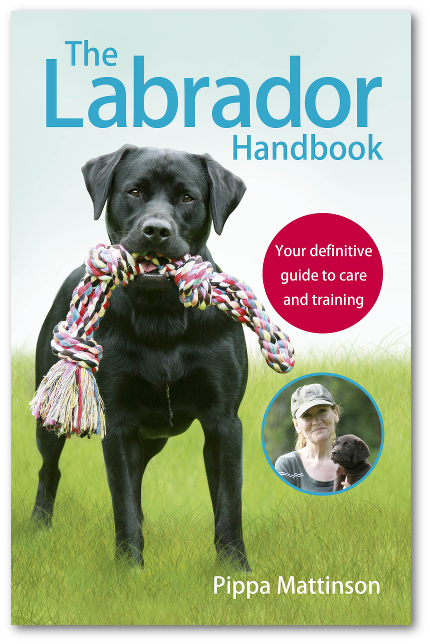 To ensure the health of your puppy, the breeder should have a veterinary assessment of the parent Labrador’s elbows, certifying they are in good health. As any Labrador parent will tell you, Labs LOVE their food. And any other food they can lay their chops on! When your dogs act like they’re hungry all the time, it’s easy to overfeed them. So obesity has become a big problem among Labrador Retrievers. Unfortunately carrying too much weight also places a strain on your dog’s joints, heart, and other organs. Work out the correct, healthy diet for your Labrador Schnauzer mix, and stick to it! If you’re worried about getting it right, ask your dog’s vet for help. There are several other conditions to be aware of if you’re looking for a Giant Schnauzer Lab mix. Giant Schnauzers have above average susceptibility to all of them. Also known as bloat, GDV occurs when the stomach twists back on itself. It is a particular problem for large, deep-chested dogs. If it isn’t corrected quickly by a vet, GDV can be fatal so it’s important to learn the symptoms and know when to get help. Hereditary hypothyroidism—an underactive thyroid—is a particular problem for Giant Schnauzers. Pups develop it if they inherit two copies of the faulty gene that causes it—one from each parent. This means Schnauzer Labrador mix pup should be protected by their Labrador genes. However, if you intend on breeding them in future, you will need to find out their carrier status. Cardiomyopathy is a disease which causes progressive weakening of the heart muscles. 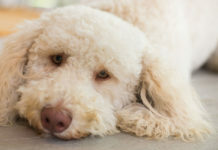 Cardiomyopathy accounts for approximately 10% of all heart conditions in dogs, and large breeds are especially susceptible. Whilst we’ve yet to understand exactly what causes cardiomyopathy, it is generally understood to be an inheritable component. At-risk dogs should be screened before they are used for breeding. To protect your pup, ask the breeder if there is any history of cardiomyopathy in their family tree. If so, determine whether their Schnauzer parent has been screened prior to the mating. Panosteitis is a painful inflammation of growing bones, often referred to as growing pains. While it’s more common in male dogs and giant breeds like the Giant Schnauzer, it is often reported in Labrador Retrievers as well. 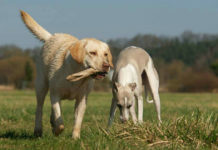 As your Schnauzer Lab mix breed grows, watch out for signs of lameness which may shift from limb to limb, accompanied by a loss of appetite and lack of energy. Because Panosteitis will resolve itself when your dog stops growing, treatment is typically focussed on pain management until then. All those conditions must seem like a lot to take in! And it’s true, there are a lot of health issues to consider. For some of them, like cardiomyopathy, being a Schnauzer cross Labrador might offer them valuable protection, which is great. By asking a lot of questions about the health of a puppy’s parents, you can greatly increase your prospects of raising a healthy dog. Asking your breeder about all of these conditions may feel uncomfortable, but rest assured a responsible breeder will be happy to answer them. And even happier that you’re taking the responsibility of a puppy so seriously! 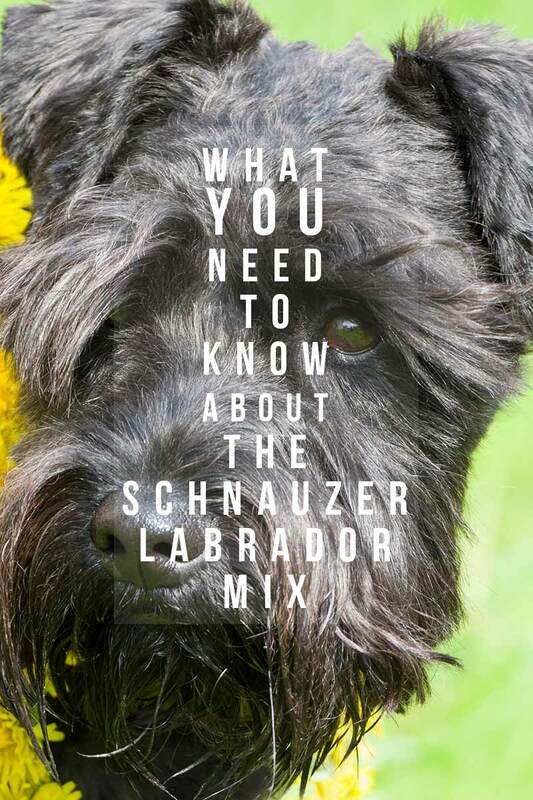 Finally, once your heart is set on a Labrador and Schnauzer mix dog, and your head agrees too, where can you find one? 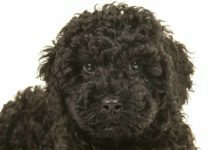 Unlike pedigree breeds, and some more popular canine cross breeds, there aren’t presently any owners clubs or breeder registries. So finding a Labrador Schnauzer Mix puppies may take a little more time and persistence. Searching online in your area might be your best bet for finding litters near you. Always carry out due diligence on a breeder before bringing a puppy home. Finally, ask lots of questions. Is a Schnauzer Lab Mix the Right Dog for You? Schnauzers and Labrador Retrievers are both long-established and highly esteemed breeds, and many people recommend them. Although, any first generation crossbreed between established pedigrees carries a lot of uncertainty. So, mixing them is not a total shot in the dark. In fact, outcrossing a Giant Schnauzer with a Lab might protect them from some of the health problems of the Giant Schnauzer breed. Without thrusting them into complete existential crisis. A Schnauzer and Lab mix pup might be the right fit for your home if you’ve got an outdoorsy lifestyle so they can burn off energy every day. Plenty of time and energy for training is required. But a Labrador and Schnauzer mix is not the right choice if you’re hoping the Schnauzer component will make a Labrador hypoallergenic! Hopefully, this article has helped you make an informed choice about bringing home a Schnauzer Labrador mixed breed. Good luck as you continue on your journey to doggy ownership! Do you own a Schnauzer Labrador? Did you deliberately look for this crossbreed, or did you find each other by accident? What are they like as a pet? Previous articleBeagle Lab Mix – The Pros and Cons of a Beagador! I live in Germany and we have a adopted a dog from the dog shelter here. Obviously a part of him is Schauzer but we were wondering what the other part might be… It turns out when I look at your Pictures that it coul be a Labrador. He is very nice with children, very willfull and has a strong mind which means he does not always obey the rules. He haunts for example, not listening to what I call, he barks and jumps after cars with an electric motor and he can be aggressive to other dogs. He is a perfect member of our family beloved by all of us, always full of temperament and emotion.. Sometimes one wishes he might be a bit cooler not always being 100% full of energy. We just adopted a Lab Giant Schnauzer mix rescue dog. He is so like the descriptions given above. I am thankful for others’ comments as they are so apt and similar to our Comet. The one thing that confounds me though is his fur. It is beautifully white. His eyes are an almond shaped hazelnut matching his brown and pink spotted nose. I wonder if there is a third breed that gives him the white or if that is a standard recessive trait. We recently lost our Lab/Schnauzer at the age of 13. His father was standard salt/pepper Schnauzer and mum was a chocolate Lab. jack was black with grey ear tips when young but his beard and muzzle grew greyer with age. He was a fantastic dog, loyal, easy to train, good with children, other animals etc. Had a good bark when required. Loved swimming,had a good nose and if needed I believe would have made an excellent gun dog. He was healthy all his life & in the end his back legs let him down. He was on no medication except from ant-inflammatories in the last year. Couldn’t have asked for a better companion and we are still devastated that he is no longer with us. So sorry for your loss. He was an excellent family member! We have 2 standard schnauzers we love dearly but are getting on in age. My family and eye wanted a bigger dog so have looked at this breed and wanted more info, thank you much for your comments, we have picked a dog and want future info if you all have any. Our dog was a rescue and we had no idea what she was, but a genetic test revealed her to be 50% schnauzer, 25% lab and 25% mutt. She has the stature of a small lab and the salt and pepper coat of a schnauzer, so that she hardly sheds at all. Like a Schnauzer, she’s a born ratter and watch dog, and like a Labrador, she loves retrieving, especially if the object for retrieval is in the water. Her speed and agility are remarkable, and she can climb a six-foot fence though now that she is nearly 4, she seems to have given up that hobby. She is just a sweet, happy, remarkably intelligent dog and wonderful with children, though she can be willful and ignore commands. The one down side is that at times she can be quite standoffish or even aggressive with other dogs, but on the whole she’s a joy to have around. She does require a lot of exercise and spends at least half an hour a day on a full-tilt retrieving session, supplemented by two shorter play periods and several walks. But all that keeps her in tip-top shape despite her Lab-like appetite. I feel very privileged to have happened on a Labrador Schnauzer 8 month old puppy in a rescue centre. He has been with me for the past five years, has a beautiful friendly nature……and so intelligent he practically speaks to me! Like your article suggests the mix can vary so much……..my guy sheds like a Labrador, so no hypoallergenic benefits there. We go to agility classes where he is a joy to watch. Here too, that willful aspect is in evidence. But I like that ‘delinquent’ side of his nature or doginality. One thing about him is that every one we meet on our walks admires him for the handsome dog that he is (can take no credit there). He is slim, tall with the lovely beard and eyebrows of the schnauzer, ears and coat of the Labrador and so winning in his way with everyone. He’s a rogue, he’s a charmer and I feel so lucky that a shelter dog could turn out to be so good-natured so winning in his ways. And he just loves to be cuddled. I am so lucky to have him in my life.